You won't be seeing much of California's gubernatorial candidates this fall -- at least, you won't be seeing much of them together. 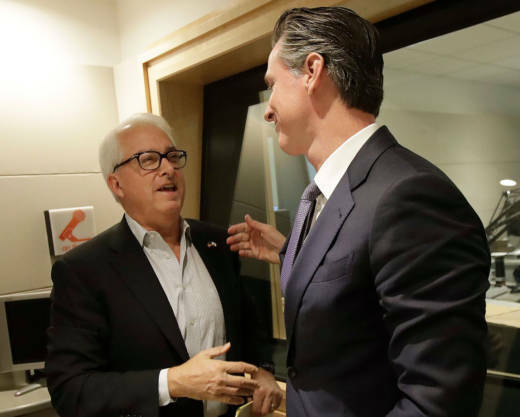 The only debate between Democrat Gavin Newsom and Republican John Cox took place on KQED's Forum radio program Monday. Prompted by host Scott Shafer, the two had a lengthy exchange about the state's approach to climate change. Newsom applauded the state's aggressive goals to reduce greenhouse gas emissions, while Cox said they would impose too high a price for the average Californian. 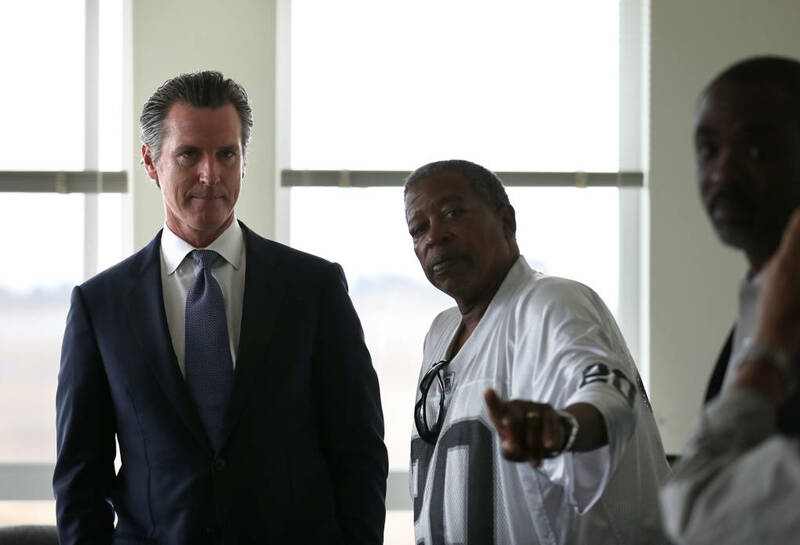 Below is a transcript of what Newsom and Cox said, along with our fact-checking. 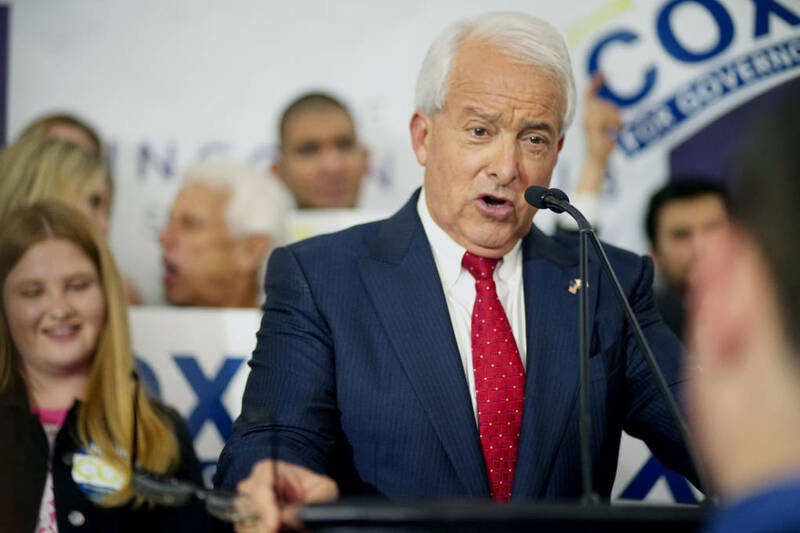 Scott Shafer kicked off the debate by asking Cox if he agreed with the steps California had taken to reduce the greenhouse gases that are affecting the climate. .
John Cox: I'm not an ideologue on this. I'm a problem solver. I'm also not a climatologist but I'll certainly listen to climatologists. I believe the Earth is getting warmer and humans may well have an effect on it. And I want the air as clean as possible. I drive an electric car; I'm proud of that. The point is, are we getting enough of an impact on the world's atmosphere to justify the cost to the people of this state? India and China are dumping tons of carbon into the air. We've done a lot in California to clean the air. Frankly, the politicians like Gavin have failed miserably to police the forest and take care of the forest and manage the forest. The carbon that was released by the fires comprised months of carbon from cars, trucks that we're working to reduce. Natural factors are still affecting the planet’s climate today. The difference is that, since the beginning of the Industrial Revolution, humans have been increasingly affecting global climate, to the point where we are now the primary cause of recent and projected future change. The majority of the warming at the global scale over the past 50 years can only be explained by the effects of human influences, especially the emissions from burning fossil fuels (coal, oil, and natural gas) and from deforestation. It is true that California "has done a lot" in reducing greenhouse gas emissions. This year the state met its goal of reducing emissions to 1990 levels four years ahead of its target date. Cox mentions India and China as big C02 emitters. While it is true that China is the top emitter of CO2, as of 2014, India produced less than half that of the U.S., which remains the largest emitter on a per capita basis. Cox also asks if California is making enough of an impact on global emissions to "justify the cost to the people of this state." It's unclear what Cox means by "cost." Overall, the state's economy has grown since the 2006 passage of AB 32, the landmark bill that mandated cuts in carbon emissions. Consumers also get a "climate rebate" on their electric bills from revenues generated by the state's cap and trade system. California produces roughly 1 percent of the world's carbon emissions. The "impact" that the state has made in helping solve the problem of climate change has less to do with the actual reduction of emissions than it does with serving as a model for other states and subnational entities around the world to follow. A dozen or so other states have adopted California's stricter standards for auto emissions, and several have copied AB 32, to the point of even replicating its name -- the Global Warming Solutions Act. Regarding tending to forests and its relationship to the increasingly destructive and deadly fires California has been experiencing, Cox is correct in saying the state has fallen way behind in forest management. Most fire scientists agree that there has to be much more aggressive use of tools like thinning, controlled burns and “managed fire,” all of which are controversial to some degree. Cars and trucks, not fires, remain the largest source of greenhouse gases in California. Gavin Newsom: John Cox at least acknowledged enthusiastically that Donald Trump did the right thing when he pulled out of Paris. [The Paris Agreement, signed by almost 200 countries, aims to limit the global temperature increase.] I reject that and I applaud the leadership in the state of California, particularly Gov. Brown, to radically change the way we produce and consume energy. I applaud his effort to get to 100 percent renewables by 2045, to get to 60 percent renewables by 2030. And I believe California has a unique role and responsibility, not just nationally, but internationally to lead. Again, this reflects a stark contrast in this campaign for governor, someone who believes in climate change and believes that it's man-made. John still is not convinced it's man-made. The numbers on renewables that Newsom cites refer to SB 100, which Gov. Brown signed last month. By 100 pecent "renewables," he really means 100 percent clean or low-carbon energy, because under the new law, allowable energy sources include hydropower dams, nuclear power andfossil fuels in which carbon emissions are captured. Meeting those goals will be no small feat, necessitating a wholesale transformation of the way the state gets its energy. Cox: I certainly want the air to be clean but we're going to keep pounding people of this state into poverty. Electricity prices in the state are already almost twice what Texas pays. I think it's a wonderful goal to have renewable energy. I'm all in favor but we can't keep increasing the cost of electricity. I favor nuclear power, I think that can be done cleanly. Natural gas can be done cleanly. I believe we could use technology to ultimately have cars that are much cleaner burning. But right now the wind doesn't always blow and the sun doesn't always shine, and we need to make sure that we have a backup power. We need to make sure that we have a backup and Jerry Brown has been taking flack from the left from the keep-it-in-the-ground lobby about fracking and about drilling in California, not off the coast but in the mainland of California. FACT CHECK: It's true that Californians pay more than Texans per unit of electricity, measured in kilowatt-hours. (It's about a third more, not twice.) But monthly residential bills are actually about a third lower because we use less electricity than Texans do. Californians rank in the lowest fourth of all the states when it comes to their electricity bills, having invested heavily in energy efficiency. Newsom: I think fracking is starting to fall on its own petard and Wall Street is the one leading this recognition. You're seeing interest rates rise; the fracking experiment is beginning to wane. So I think that's a natural opportunity for the next governor to get a little bit more aggressive as it relates to fracking. FACT CHECK : Fracking has not been profitable for companies. From The Guardian in August: "Because so few fracking companies actually make money, the most vital ingredient in fracking isn’t chemicals, but capital, with companies relying on Wall Street’s willingness to fund them. If it weren’t for historically low interest rates, it’s not clear there would even have been a fracking boom at all." Newsom may also be using "fracking" in this context as a proxy for all oil and gas production. (Fracking is just one method used in energy production, one that has largely enabled the national boom in natural gas production.) It's true that fossil fuels are beginning to fall out of favor among investors, but that’s a long way from saying they’re toast. One recent report from Carbon Tracker suggested that “peak fossil” could occur as soon as sometime around 2023, but even if this optimistic scenario is on target, fossil fuels will be omnipresent for decades to come; they’ll just be a gradually shrinking part of the mix. Cox: That's wonderful except people can't afford to live in this state. And they're moving out, and our electricity costs and our gasoline costs are pounding the average person. And it's all well and good to talk about this wonderful goal that we have. Let's work toward it, but let's not kill people in terms of their affordable lifestyles. FACT CHECK: It's true that California has high gas prices -- in fact, currently, the second highest after Hawaii, according to AAA. One reason is that the state requires a specialized gas formula in order to reduce air pollution. But the state has also said that AB 32's cap-and-trade rules have added 11 cents per gallon to gas prices. That's in addition to the 12-cent per gallon gas tax that Jerry Brown signed last year to raise $5 billion a year to improve roads, highways and other transportation in California. Voters will decide whether or not to repeal that tax through Proposition 6 this election. Amel Ahmed, Jon Brooks, Craig Miller, and Lauren Sommer contributed to this post.